If you’re on the lookout for a stylish car that boasts subcompact versatility on the outside and incredible spaciousness on the inside, you’ll be wowed by the 2017 Honda Fit’s interior offerings. The cargo capacity, storage, and seating configurations of the flexible Fit are just a few of its exceptional assets, designed to maximize space and functionality onboard this eye-catching hatchback. 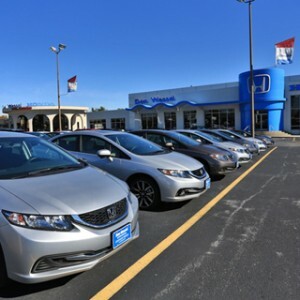 Keep reading to learn more about what the impressive Honda Fit brings to the road—then visit the crew at your nearest Mid-Missouri Honda Dealers location to take this versatile vehicle out for a test drive! When it comes to cargo space, Honda states that the Fit can carry a kayak—and they aren’t exaggerating! With four innovative seating configurations to choose from, Fit drivers can tailor the car’s interior to fit their needs of the moment—whether a journey calls for more seating or more cargo room. If you need to carry a long item like a surfboard, a ladder, or, yes, even a kayak, the Honda Fit can make it happen. When you want ultimate relaxation onboard the Fit, there’s a configuration for that, too. The Honda Fit’s standard 60/40-split second-row Magic Seat makes it all possible, letting motorists configure the car’s interior to become exactly what they need it to be. Utility Mode: The Honda Fit goes into Utility Mode when the rear seats are folded flat. This opens up a maximum of 52.7 cubic feet of cargo volume behind the Fit’s front seats, creating enough space to carry bicycles or even a small couch! Long Mode: If you really do want to load a kayak into the Honda Fit, Long Mode makes it possible. Long Mode is activated by folding down the front and rear seats on the passenger side of the car, which creates a long, connected space that can accommodate a variety of long cargo items that wouldn’t normally fit inside a car—much less a subcompact one! Tall Mode: When you need to carry something tall, like a potted plant or a floor lamp, the Honda Fit’s Tall Mode comes to the rescue. To enact Tall Mode, drivers can simply remove the rear-seat headrests and then vertically fold up the back seats, which creates 4 feet of cargo space from the floor to the ceiling to hold taller items. Refresh Mode: Lest you think the Honda Fit only has crafty configurations for its cargo, a configuration called Refresh Mode has been created especially for the humans onboard. Just about everybody can relate to getting fatigued while out on the road. Whenever that happens, Fit drivers can simply pull over to a safe location, fold back either front seat, recline the corresponding rear seat, and enjoy a long, body-size space where they can catch 40 winks. Passengers can take advantage of Refresh Mode, too, and stretch out in body-length comfort during long trips. 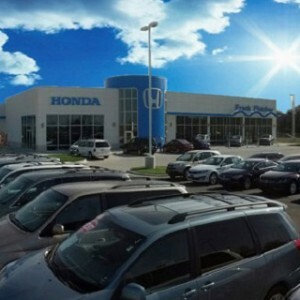 Now that you’ve gotten acquainted with some of the Honda Fit’s incredible cargo capabilities, let’s take a look at this innovative hatchback’s abundant passenger space. Serving up seating for five with all the seats upright and in place, the Honda Fit delivers up to 95.7 cubic feet of passenger room for occupants to get comfortable in, with the aforementioned reclining rear seats offered standard to keep backseat passengers supremely comfy, as well. In terms of individual spaces within the Fit, this impressive car serves up 38.0 inches of front headroom when equipped with a moonroof and 39.5 inches of front head space without a moonroof. The backseat passengers will enjoy 37.5 inches of rear headroom with a moonroof and 37.6 inches without one. For stretching out their legs, Fit passengers have 41.4 inches of legroom up front and 39.3 inches of legroom in back. Hip space in front is 51.5 inches, while riders in back will enjoy 45.1 inches of hip room. In terms of shoulder action, Honda Fit occupants will enjoy 54.8 inches of front shoulder room and 52.6 inches of shoulder space in back. The Honda Fit additionally offers various handy compartments for extra storage, including a storage compartment in the center console, plentiful beverage holders, a passenger-side seatback pocket, and door-pocket storage bins in the front and rear. The Fit also provides handy extras like 12-volt power outlets in the front and center consoles, a standard cargo area light, and available tie-downs for the cargo area. Now that you’ve learned about some of the 2017 Honda Fit’s incredible interior offerings, how would you like try out this impressively functional hatchback? 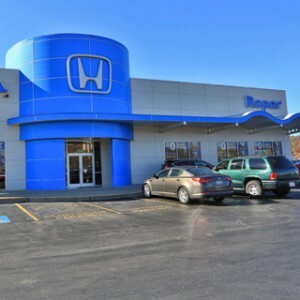 Drivers can do just that at any Mid-Missouri Honda Dealers location. 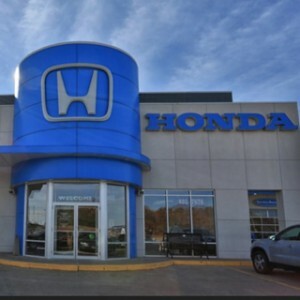 Stop by any of our affiliated dealerships or contact us today to learn even more about the Honda Fit’s offerings and to take this fantastic hatchback out on the road for a test drive!